I am so happy to announce that he first collected edition of the adventures of THE BLACK BEETLE, titled NO WAY OUT, is at the presses as I type. This beautiful HC includes the One-Shot "NIGHT SHIFT" (published as #0) and the 4 issues of NO WAY OUT, plus a rich section of extra material, some never printed/published before. Layouts, sketches, pinup, tons of good stuff. Click on the image above for a sneak peek. Here's the solicits for the HC. Pre-order now at your local comicshop or at your online shop, AMazon, B&N or any other fine place that has this HC for pre-sale. After witnessing an explosion that decimates the city’s organized crime community, killing dozens, the Black Beetle—Colt City’s sleuthing sentinel—is on the hunt for answers and justice! 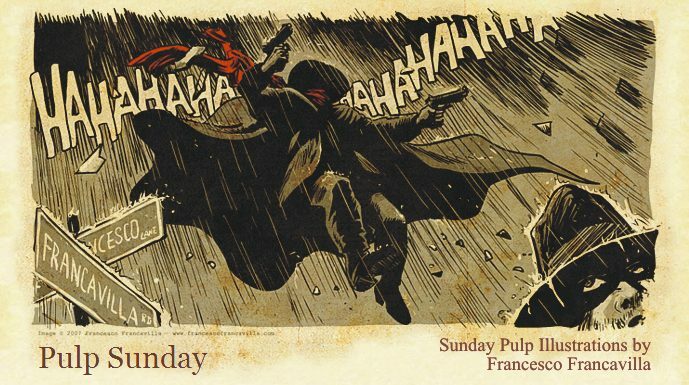 Follow Francesco Francavilla’s critically acclaimed pulp hero as he searches island prisons, dank sewers, and swanky nightclubs for the mysterious man known as Labyrinto. Format: FC, 152 Pages; HC, 7" x 10"